Reporting on organic performance can be tricky. But with so much riding on the success of your SEO strategy, and with numbers fluctuating almost daily, it’s important to produce a comprehensive report each week. 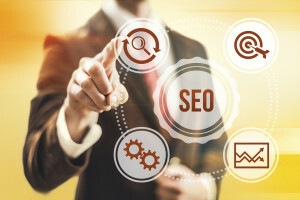 The value of certain metrics may differ across organizations and industries, but there are several key metrics that should be included to understand and report on SEO performance accurately. Every Monday I produce a search marketing summary – SEO is just one of the categories I report on. But the #1 metric I look at every Monday morning is the number of new users to our site over the past week. I compare it to the week prior to see how we performed week over week. After I look at the number of new users we had over the past week, I take a look at our overall organic traffic. I filter to the pages view so I can see which landing pages are driving the most organic visits to our site. Are these the pages we want to show for organically? In this step I also identify pages that aren’t performing as well (organically) as I’d like and share with the content team so they can optimize. How many goal completions did we have this week over the last, and on which pages did the completions occur? Knowing the pages that drive goal completions helps you put more effort into driving traffic to those pages – through blogging, social media, or other tactics. Tracking web form submissions from organic search as well as phone calls from organic search will help you have a complete understanding of how organic search drives conversions and leads. You can track web forms submissions through marketing automation and you can track call conversions with a call tracking service. Tracking one without the other will leave you with inaccurate data. You can read this free guide to learn more about tracking calls from organic search. These metrics help me understand how my website is ranked by search engine algorithms. Moz’s domain authority tells me how my website is performing in search engine rankings. I not only look at my own domain authority, but also that of my competitors to see how I rank in strength against them. Build more inbound links from high authority websites. Bolster my content marketing by producing new, relevant content, which in turn helps to drive more inbound links. To view all of these metrics in one place, we use Raven Tools. It brings together metrics from Moz, Majestic, Google Analytics, Google Webmaster Tools, Bing Webmaster Tools, etc. and helps you house SEO reporting in one location. Identifying problems with load time, page speed, crawl errors, meta issues, image issues, etc. on a regular basis will help you keep your website performing at its best at all times. Unidentified crawl errors or especially slow load time or page speed will hurt your organic rankings in the long run. Being aware of them early on, and taking care to resolve the issue, will help your website consistently maintain its ranking. Keeping up to date with SEO metrics is key to maintaining and improving your search engine rank and performance. Tools like Google Analytics, Webmaster Tools, Moz, and Raven make it easy to report and improve weekly so you can stay at the top of your game. How Quickly Can You Get Employees Tweeting About Your Company? Social Media or Digital Marketing? A Rose by Any Other Name?